So You Don't Want Alcohols in Your Skincare Products? Think Again. 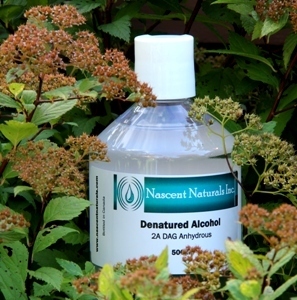 | Nascent Naturals Inc. So You Don’t Want Alcohols in Your Skincare Products? Think Again. Home Education So You Don’t Want Alcohols in Your Skincare Products? Think Again. Alcohol in Cosmetics is so misunderstood. People are always commenting that they don’t want it in their products with that panicked almost hysterical tone in their voice followed by the usual rambling that it is toxic and will strip natural oils, dry out the skin and lead to severe dryness and irritation. Heaven forbid that their face will surely disintegrate as a result! This is a yes and no kind of situation. Instead, people should be asking; why are they added? What purposes do they serve? What alcohols are friendly to the skin? Which ones aren’t? To answer these questions, some clarification is needed about alcohol. First of all, alcohols are everywhere and a huge part of the chemistry of our world. Virtually any chemical ending in “OL” is some form of alcohol. There are thousands of them. The chain of bonds can be short, medium or long. Fermented, non-fermented, grain, fatty, petroleum, wood, phenols, vitamins, the list goes on. There is even significant alcohol in many essential oils. The fact is that there is a wide scope of alcohols ranging from toxic, harsh and drying to soft, emollient and nutritious. I believe that one of the problems in perception of alcohols is that some people lump all alcohols together with the known harsh alcohols like isopropyl or benzyl alcohol as being bad for your skin. Well, this simply isn’t true. Many alcohols when used correctly and in proper amounts play a very important role in cosmetics. By aiding absorption, soothing, softening, healing and even disinfecting and providing preservative properties, alcohols are essential. Following is a brief overview of good and bad types of alcohols and their uses. They are usually the culprits for harsh or drying effects and the ones which people object to, for good reason. Some of the common ones you may be familiar with are ethanol (used to make alcoholic drinks), benzyl alcohol, SD or denatured and isopropyl alcohol. Short chain (3 or less bonds) alcohols tend to evaporate very fast when exposed to air. They also dissolve thoroughly in water causing it to vaporize quickly and dry up. These ones are also highly flammable! Most of these are used to create astringent effects by removing oils from the skin as in acne treatment formulas, skin cleansers and firming toners. Stripping natural oils from the skin makes it feel tighter not healthier. Dryness and irritation are the result. They may also be added to “vanishing” creams to lighten them up which gives the sensation that the product has absorbed quickly. In fact what has happened is the alcohol causes the water content in the product to evaporate rapidly and nothing more. Use of alcohol for these purposes can be the most hazardous and actually cause long term damage in return for short term effects. However, they do serve specific purposes in some products where you would like the water to vanish quickly, such as non-aerosol hair sprays or room sprays. Water can affect hair style and surfaces such as clothes and furniture so the alcohol dries up the water upon exposure to air. Other uses of these types of alcohol are for antibacterial effects as in the case of swabs for medical applications and hand sanitizers. In this case, it’s intended to kill germs on any surface including the skin. However, the high concentrations of “harsh” alcohol required for some of these products are truly detrimental and should be avoided where possible. Now, here is where you can breathe a sigh of relief and relax about the word alcohol on the ingredient list. Some of the common names are cetyl and stearyl alcohol. They are easily recognized by the “yl” ending on the first word. These are long chain alcohols (usually 4 bonds or more) and serve the purpose of emulsifiers, emollients, softeners and humectants. Their chemistry is friendly to basic sebum within our own skin and tend to sooth, retain moisture and soften. 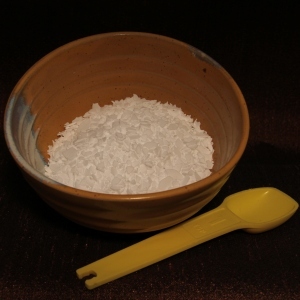 The appearance doesn’t resemble typical clear liquid alcohols as it is usually a white granular or flake that needs to be heated before processing. These are insoluble in water but provide the function of integrating fats with water so they are more absorb-able by the skin. Originally derived from plants or animal source, most production is now from coconut or palm oil. Retinol (vitamin A), Panthenol (vitamin B5) and Tocopherol (vitamin E) are all classed as alcohols and essential to providing hydration and nourishment to the skin. Some of these are classic anti-aging ingredients the cosmetic industry has used for years. Many chemicals found in essential oils are well known as vital ingredients to cosmetics. Individual oils can contain significant amounts of naturally occurring alcohols which have revolutionized cosmetic and pharmaceutical products. Linalool (lavender), menthol (peppermint), geraniol (geranium) are but a few of the hundreds of examples. A further class of alcohols found in essential oils are phenols. Some examples are eugenol (clove), chavicol (oregano) and thymol (thyme). 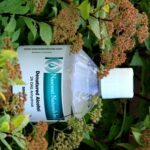 These are some of the most highly antibacterial substances to come from nature and have been used extensively in cleaning, dental and more natural preservatives for cosmetics. And then there are alcohols such as phenoxyethanol. It was originally found naturally occurring in oils such as rose but is now a widely used non paraben, non-formaldehyde based preservative used in cosmetics. One key alcohol worth mentioning is glycerol (glycerine). Considered a non-fermented alcohol, it contains three chains of bonds and is soluble in water; but instead of evaporating, it actually makes water “wetter” and functions as a vital humectant to draw moisture to the skin’s surface. 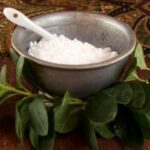 It is generally regarded as safe and one of the least expensive and widely used cosmetic ingredients next to water. Make sure you purchase plant (coconut) sourced supply. What Does “Alcohol Free” Really Mean? There is no standard definition of this term. When you see this on a label, it typically indicates that the product does not contain ethanol, denatured or isopropyl. There will still be other alcohols in there and some may not be friendly such as propylene glycol, a petroleum sourced alcohol so read the label carefully. 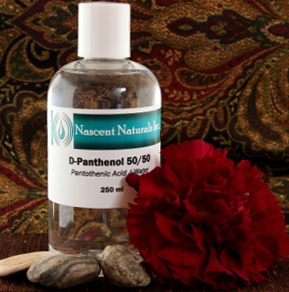 Nascent Naturals Inc ©Nascent Naturals Inc. 2014 All rights reserved.